Dubai, UAE, June 10, 2018: While most people rely on the internet to read these days, one cannot deny the feeling of holding a real book. Skyline University College organized the Skyline Book Fair 2018 with the theme, “Year of Zayed on May 14-15, 2018 at SUC Multi-Purpose Hall. 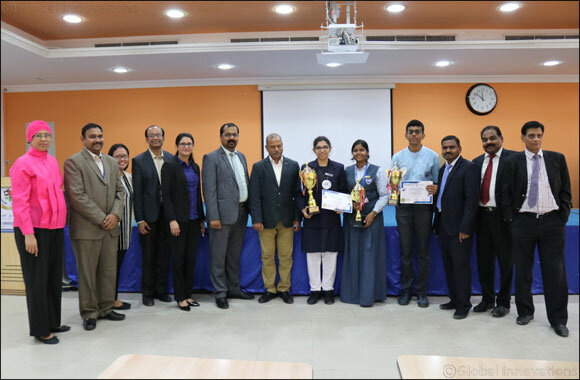 SUC Library Department also conducted an Inter-School Competition on Storytelling, Drawing, and Oratory where 81 participants competed to win. The two-day event have witnessed students showcase their talents and their excitement while rummaging through a wide selection of books. The participating schools in this year’s Book Fair were: Gulf Asian English School, Leaders Private School, New Indian Model School, and Pace International School. While exhibitors of the event were: All Prints Publishing, Friendship Bookstore, Oxford University Press, Zamzam Publishing, and Panworld Publishing. Skyline Book Fair is an annual event of SUC organized by SUC Library Department.